In 1987, a few months before I left home to hobo around Europe, Guns N’ Roses released Appetite for Destruction. The band and album seemed a complete fit with my mind, beliefs, personality, life and ambitions: the songs told a tale of travelling to a new life; nostalgia for better times and the search for more; partying excess; alienation from society; getting into trouble and paranoia. The band seemed like the 1980s version of Jack Kerouac’s beats, who had inspired my travel ambitions with stories about their frenetic trips across the states to California in the 1950s. They’d also been running from what they saw as humdrum existences they could not fit into, but what most people see as normality. My mind had also failed to settle, and just dreamt of escape while working at the mill where most other school drop-outs ended up. As with Kerouac and Axl Rose of Guns N’ Roses, boredom and booze in a small town had brought trouble, and my ambitions to travel the world became as much about mental escape as seeing the sights. Experiencing the freedom of the road through hitching and sleeping rough brought amazing peaks and troughs, and this is described as lucidly as possible in the book. There were also exotic and beautiful locations, and both local and international people that provided an introduction to the myriad personalities and behaviour that the human mind manages to create. 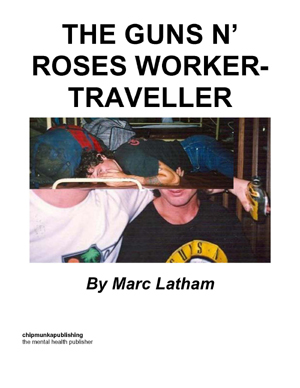 As well as being the memoir of a rock fan who’d been inspired to travel by Kerouac and found recent confirmation through the songs of Guns N’ Roses, this book is also the first account as far as the author knows of the 1980s worker-traveller communities in Europe and the Middle-East. Thatcher’s Britain was dystopian for those seeking freedom and fairness, and especially people hit by record unemployment. The unions had been crippled by the government planned miners’ strike and those who dropped out of society into the Peace Convoy had been attacked at Stonehenge and basically run out of the country. Europe and the Middle-East offered employment possibilities close to home, although jobs usually only paid enough for survival or a ticket to the next destination. So, many people preferred to escape across the channel to live a freer nomadic life working and travelling with the seasons. Life was anarchic and often messy in the worker traveller communities, as in the 1950s beat communes or 1980s LA rock clubs and parties. Level headed people wouldn’t have been impressed, but we thrived on the highs and lows; laughs and tears. We fitted in on the outside. Dr. Marc Latham was born in St. Helier, Jersey in 1965 and now lives in Leeds. He spent his childhood in Wales and was expected to do well in school, but rebelled against everything the year after starting secondary school, when he started to become politically aware and realise the human world wasn’t as nice as he’d hoped. Pink Floyd’s lyrics on the Another Brick in the Wall single and The Wall album provided a second opinion to verify his thoughts about school and society a couple of years later. 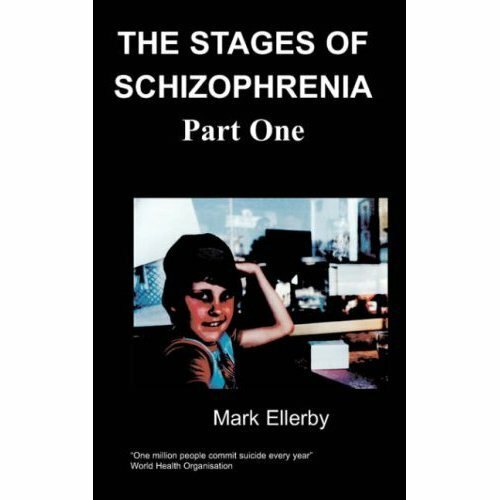 Marc was recommended for psychiatric help before leaving school, but it never materialised. Partially attracted by the mad and wild fantasy world that rock stars seem to live, Marc became an avid fan of heavy rock music in 1980, and did his utmost to emulate his rock n’ roll heroes’ life on the edge when he started boozing and partying soon after. Ordinary work didn’t interest Marc, and after he didn’t get taken on as a footballer he saved up some money and set off to travel independently. Kerouac’s On The Road was Marc’s original inspiration for his hobo travel plans, but just before leaving Guns N’ Roses released Appetite for Destruction, and lyrics describing their ragtag lives on the road and in Los Angeles also hit the spot. The worker-traveller communities Marc found on the road would fulfil his desire to live and party in a similar style. Music can be your companion for all moods. While I now listen to a variety of music, in the 1980s I was serious about my rock music; it was like a religion to me. I therefore didn’t buy music outside of the rock genre. Fleetwood Mac was there when I was mellow; Pink Floyd when I was feeling down and alienated; and Metallica or Megadeth when I was manic. In 1987 Guns N’ Roses released Appetite for Destruction and I was the first to buy and promote it amongst my friends. The band and the album just seemed to be a complete fit with my mind, beliefs, personality, life and ambitions: the songs told a tale of hobo travelling, nostalgia for better times and the search for more, partying excess, alienation from society, getting into trouble and paranoia. The band seemed like the 1980s version of Jack Kerouac and the beats, who’d told of their trips across the states to California in the 1950s. They’d also been running from what they saw as humdrum existences they could not fit into, but what most people see as normality. My mind had also failed to settle, and it just dreamt of escape while working at the mill where most other school drop-outs ended up. As with Kerouac and Axl Rose of Guns N’ Roses, boredom and booze brought me trouble and delinquency, and my ambitions to travel the world became as much about mental escape as seeing the sights. As well as being the memoir of a rock fan who was inspired to travel by Kerouac and those who followed him, this book is also the first account, as far as the author knows, of the 1980s worker-traveller communities in Europe and the Middle-East. Thatcher’s Britain was dystopian for those seeking freedom and fairness. The unions had been crippled and the Peace Convoy hippy travellers attacked and basically run out of the country. Europe and the Middle-East offered employment possibilities close to home, and many people preferred to cross the channel to live a freer nomadic life working and travelling with the seasons. Life was anarchic and often messy in the worker traveller communities, as in the 1950s beat communes or 1980s LA rock clubs and parties. Level headed people wouldn’t have been impressed, but we thrived on the highs and lows; laughs and tears. We fitted in on the outside. Thanks to Chipmunka for publishing this book and providing a voice for people who always feel outside society, whatever country they live in. Many of the people in the worker-traveller communities seemed to have mental health issues, and if they hadn’t been living rough around Europe they may have been homeless in the UK. Whether it was because of unhappy childhoods or adult alienation most had a reason for their situation, and their life stories were often fascinating. Chipmunka provides a platform for such people, and as Kerouac said, those who are mad for it are usually the most interesting. In this case it is the lost tribes of Thatcher’s 1980s to a Guns N’ Roses and rock music soundtrack. Cheers for the music guys, and all the other rock bands that made the 1980s a cool time to be young.